Now, there would be too few who would say they like chocolates. Not only is it eaten in the form of chocolate bars, chocolate is widely used in a lot of recipes like cakes and fudges. But… what if I tell you that it’s not just delicious but also helpful to health? You’d amazed to know that against the common notions like chocolate increases weight or that is bad for skin, it has just the opposite effect. Let’s discuss the advantageous health effects of chocolate in detail. According to a Swedish study consuming about 45 grams chocolate a week can lead to about twenty percent reduced risk of stroke in women. The action can be attributed to flavonoids present in the chocolate which have antioxidant action. 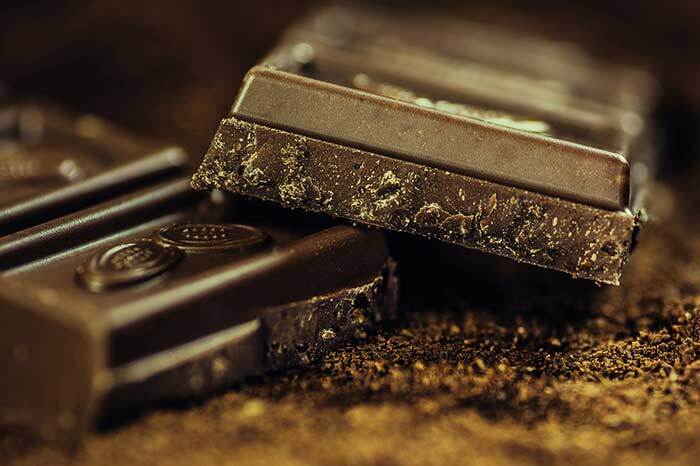 Another study conducted by John Hopkins University, a compound present in dark chocolate called epicatechin has shown significant reduction is risk of stroke in mice. According to Sylvain Doré, lead author of the study, dark chocolate can possibly protect against chronic neurological degenerative disorders, for example Alzheimer’s disease and many more age-dependent cognitive conditions. There have been many studies to prove that chocolate rich in flavanol has a significant role in increasing the cerebral blood flow. Hence, regular consumption of chocolate have play a promising role in treatment of cerebrovascular ischemic syndrome including stroke and dementias. A study has revealed that having dark chocolates daily can provide protection against inflammation. According to the study 6.7 g of daily chocolate is sufficient to take care of inflammation. Chocolate reduces the levels of C-reactive protein in the blood, which has a significant role in development of inflammation. Several studies have found that chocolates can prevent blood clots. In people frequently having chocolate platelets tend to clump together at a slower rate. Blood clots can be causative factors in development of a heart attack; hence it reduces the overall risk. Isn’t that unbelievable? Well, chocolate contains a compound called theobromine which is responsible for reduction in the vagus nerve activity. Since vagus nerve is responsible for triggering cough eating chocolate controls cough to some extent. Scientists are even trying to use the compound theobromine to replace codeine in cough syrups. Another study conducted by University of L’Aquila, Italy, established that chocolate on a regular basis can enhance insulin sensitivity, hence reduction in the risk of diabetes. Now, who asked you not to eat chocolates? People have a general notion that eating chocolates would increase pimples and darken your complexion. None of that is true. First of all, chocolate has nothing to do with the acne. Second, chocolates contain flavonoids which have anti-oxidant action. Anti-oxidants are known to protect skin from the damage from free radicals. Hence, chocolate also gives a little protection against UV rays, though, not enough to replace regular sun screens. The mechanism can be credited to the compound called pentameric procyanidin (pentamer). This compound prohibits the cancer cells from spreading. Lombardi Comprehensive Cancer Center, Georgetown University in year 2005 treated cancerous cells with pentamer. As a result the proteins required for cellular growth were found suppressed and cellular division was arrested.